Simple, fit, vegan, and no sugar added hot chocolate made with just 5 ingredients and in less than 5 minutes! Combine the water and coconut milk. Microwave / boil until hot. Mix in your protein powder, cocoa powder and vanilla extract and stir well until all ingredients are completely incorporated. *DISCLAIMER: Photographed with cool whip, to keep it vegan use whipped coconut cream. Keep reading for recipe. 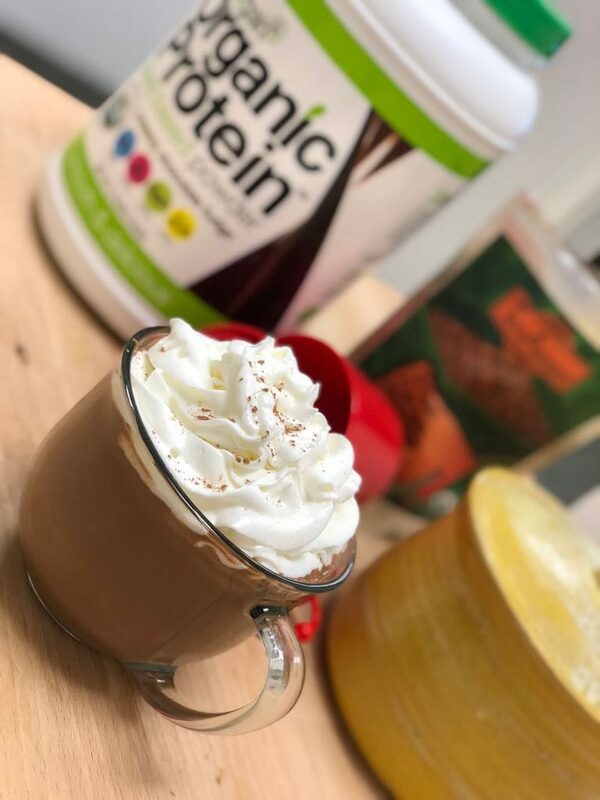 This entry was posted in Nutrition, Recipes and tagged dairy-free, hot chocolate, hot cocoa, nutrition, plant based, recipe, vegan. Bookmark the permalink.